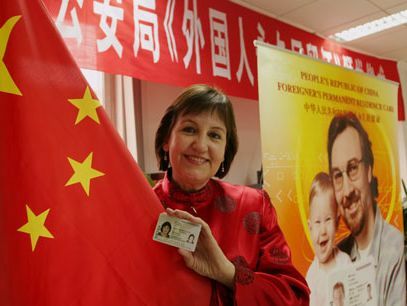 It is now easier to get a permanent residence permit in Shanghai! THE Ministry of Public Security has relaxed the guidelines for green cards in an effort to retain foreign talents in Shanghai. From July, foreigners who have lived in Shanghai for four straight years and have paid their taxes will be eligible for permanent residence permits, or green cards. Currently, business executives, scientists or academicians are entitled to the permanent residence permits. The new rules, announced by the ministry on Tuesday, make it easier for people from all walks of life to apply for the permit. The residence permits, along with simplified visa application procedures, is expected to be put into effect on July 1. Foreigners who have worked in Shanghai for four consecutive years, and/or resided in China for at least six months every year during that period, can apply for green cards if they are recommended by their employers. The applicants’ annual income and personal income tax must also meet a certain standard, the rules state. Foreign experts who have a proven talent certificate or those who work as professionals in high-tech and innovative businesses and institutes, can apply for the permit after just three years. Apart from that, professionals who have extended their stay in Shanghai twice and have no legal violations will be issued residence permit of up to five years — the longest — when applying for the third time. Foreigners who hold permanent residence and work permit can also apply for residence permits for their personal servants with contracts and written guarantees. Foreign students who have graduated from Chinese colleges and intend to stay in Shanghai for work can apply for two-year residence permits. Foreign investors and entrepreneurs without work visas can now apply for S visas at the border exit-entry authorities with statements of their investments or business plans and source of funds. The Ministry of Public Security said it will also support Shanghai’s application to the State Council for tourists from certain countries who can stay in the city for 144 hours without visa — an extension of the current 72 hours.